Professor Sir Adrian Frederick Melhuish Smith, FRS (born 1946, Dawlish, England) is a distinguished British statistician and, from 1 September 2012, Vice-Chancellor of the University of London. He was knighted in the 2011 New Year Honours. He is also Deputy Chair of the UK Statistics Authority with responsibility for governance of the Office for National Statistics (ONS). Sir Adrian took up post on 1 September 2012 for a three-year term, in succession to Lord Rowe-Beddoe of Kilgetty. He previously served on the Board of the UK Statistics Authority during 2008 as Deputy Chair (Statistical System) until his appointment to a senior role in the Civil Service. Formerly Principal of Queen Mary, University of London, he was previously at Imperial College, London where he was head of the Mathematics Department. He is a member of the governing body of the London Business School and a former Deputy Vice-Chancellor of the University of London. He served on the Advisory Council for the Office of National Statistics from 1996 - 1998, was Statistical Advisor to the Nuclear Waste Inspectorate from 1991 - 1998 and was advisor on Operational Analysis to the Ministry of Defence from 1982 - 1987. Sir Adrian was President of the Royal Statistical Society between 1995 and 1997, and won the society's Guy Medal in Bronze (1977) and Guy Medal in Silver (1993). He was elected a Fellow of the Royal Society in 2001 in recognition of his contribution to statistics. His FRS citation included "his diverse contributions to Bayesian statistics. His monographs are the most comprehensive available and his work has had a major impact on the development of monitoring tools for clinicians." In statistical theory, Sir Adrian is a proponent of Bayesian statistics and evidence-based practice - a general extension of evidence-based medicine into all areas of public policy. With Antonio Machi, he translated Bruno de Finetti's Theory of Probability into English. He wrote an influential paper in 1990 along with Alan Gelfand, which drew attention to the significance of the Gibbs sampler technique for Bayesian numerical integration problems. He was also co-author of the seminal paper on the particle filter (Gordon, Salmond and Smith, 1993). Sir Adrian was educated at Selwyn College, Cambridge and University College London where his PhD supervisor was Dennis Lindley. 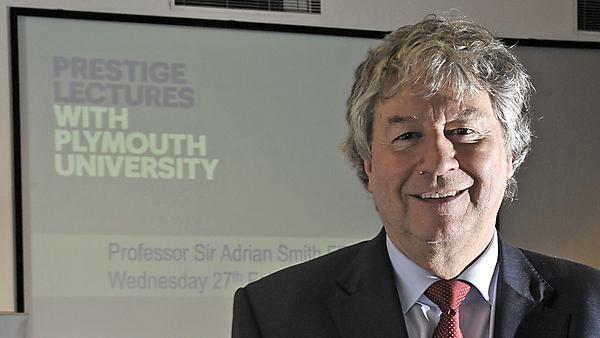 In mathematics and statistics education, Sir Adrian chaired the UK government’s inquiry into post-14 mathematics education and published its report Making Mathematics Count in 2004. He also led the independent review of crime statistics, commissioned by the then Home Secretary, which reported in 2006. In April 2008, Sir Adrian was appointed as Director General of Science and Research at the Department for Innovation, Universities and Skills (since merged with another department to form the UK's Department for Business, Innovation & Skills (BIS). He took up his post in September 2008. In 2009, he led an advisory group reviewing the UK's postgraduate education. In March 2010, the postgraduate review report One Step Beyond: Making the Most of the Postgraduate Education Sector was published. The review has found that postgraduate education in the UK is a great asset and world leading in many areas - but highlights the need to do more to ensure that our postgraduate sector remains internationally competitive. Sir Adrian was educated at Teignmouth Grammar School, Selwyn College, Cambridge, and University College, London. He holds honorary doctorates from City University; the University of Loughborough; Queen Mary, University of London; and University of Plymouth.